Craving a snack? 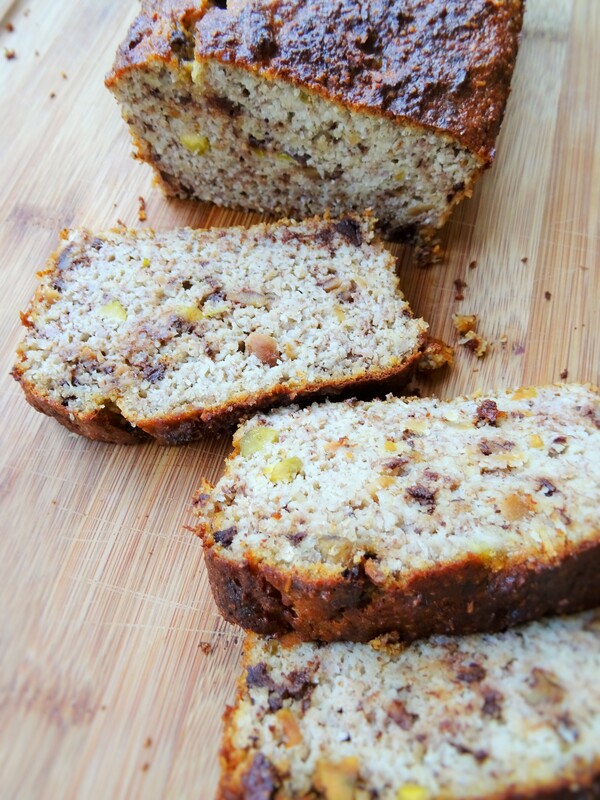 Than you should definitely bake this bananabread! The bananabread is really popular among the people who bake often. Why it’s called bananabread? We have no idea.. perhaps because of the almond flour? Actually it has more the structure of a cake. Every week we bake something healthy without sugar, so that we have a healthy snack for the whole week. After we baked this bananabread, we cut it in slices and put all the slices in plastic sandwichbags. Put them in the freezer and if you want a slice, get it out of the freezer the day before and put the slice in the fridge. In this way you can enjoy a slice of fresh bananabread every day! 1. Preheat the oven to 350°F (175°C). Grease the cake/loaf tin (you can use coconutoil or baking paper). 2. Mash the bananas with a handblender in a bowl until you have a smooth batter. Optional: add the dates (seedless) and mix again. 3. Add the eggs one by one and beat them with a whisk (or a handblender) through the batter. 4. Add the almond flour, the baking powder and a pinch of salt to the batter. 5. Chop the nuts and chocolate into small pieces. Stir in the chopped nuts, chocolate and the shredded coconut. 6. Pour the mixture in the cake tin. 7. Bake the cake in about 45 minutes into the preheated oven. The cake is ready when a toothpick comes out clean and dry, if you put it in the middle of the cake. 8. Let the cake cool down in the form before you slice and/or serve it. Tip: when you sliced your bananabread in pieces, freeze those slices. That way you will have a healthy snack for the rest of the week! 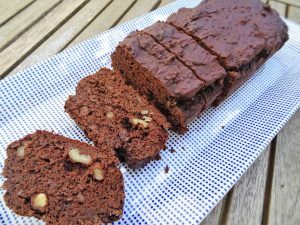 Have you ever baked a bananabread? If not, you should definitely try it!